The acquired immune deficiency syndrome (AIDS) often has profound effects on growth; however, the effects of human immunodeficiency virus (HIV) on asymptomatic children’s growth are unknown. Before heat inactivation/HIV donor screening of factor concentrates, many hemophilic children became infected with HIV. We evaluated four hemophilic groups without AIDS, using age-standardized growth parameters: group 1, 41 HIV-seropositive children (median age of 13 years); group 2, 11 HIV-seronegative children (median age of 4 years); group 3, 20 children frequently receiving concentrates, evaluated before 1979 (median age of 9 years); and group 4, 11 children rarely receiving concentrates, evaluated before 1979 (median age of 6 years). Median height for age (HA), weight for age (WA), and weight for height (WH) of groups 1 and 2 exceeded the 50th percentile of referent norms. HA, WA, WH, and weight/height2 did not vary significantly by group, nor did these decline over periods of 11 to 70 months. However, for those <11 years of age in group 1, HA declined by 25 percentile points over at least a 3 year period. Also, group l’s T helper-to-suppressor cell ratios at 12 +/- 3 months following the latest growth evaluation were positively associated with both HA and WA at that last evaluation. Eight children were evaluated before 1979 and again after they seroconverted to HIV. Their measurements as a group did not decline significantly between the two evaluation periods, but the growth percentiles of five of them did decline. 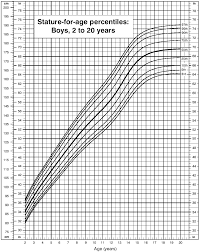 We conclude that HIV did not measurably affect the growth of the majority of these asymptomatic infected hemophilic children; however, it may have affected the growth of the younger infected patients and of some individual children evaluated over time. The effects of HIV on growth may precede laboratory immune changes.